As you might have already noticed our love for Asian cuisine, here’s a sneak-peak to our recent exotic-gastronomic journey at the Malaysian Food Festival at Renaissance Hotel, Powai. 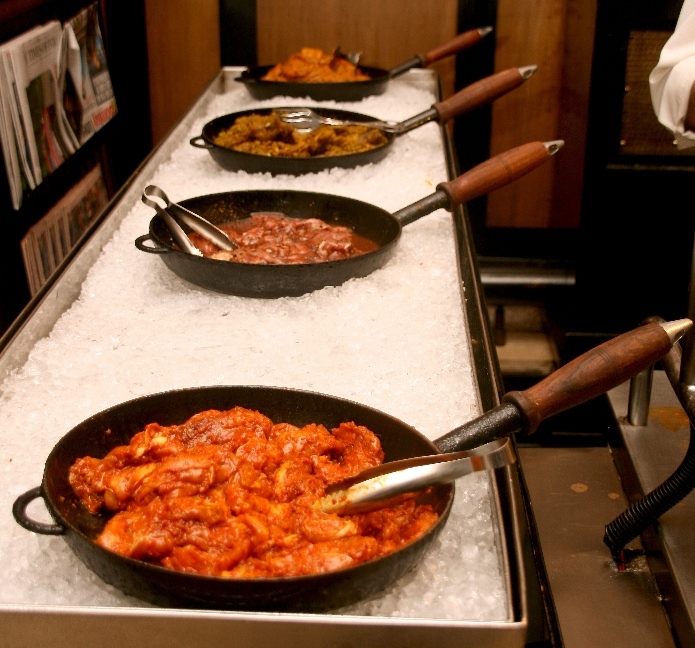 Malaysian cuisine is influenced by various cultures from all around the world. Malaysia’s population consists mostly of three ethnic groups: Malays, Chinese and Indians. As a result of historical migrations and Malaysia’s geographical advantage, Malaysia’s culinary style is a mixture of Malay, Chinese, Indian, Indonesian, Thai and Arabian cuisines – to name a few. 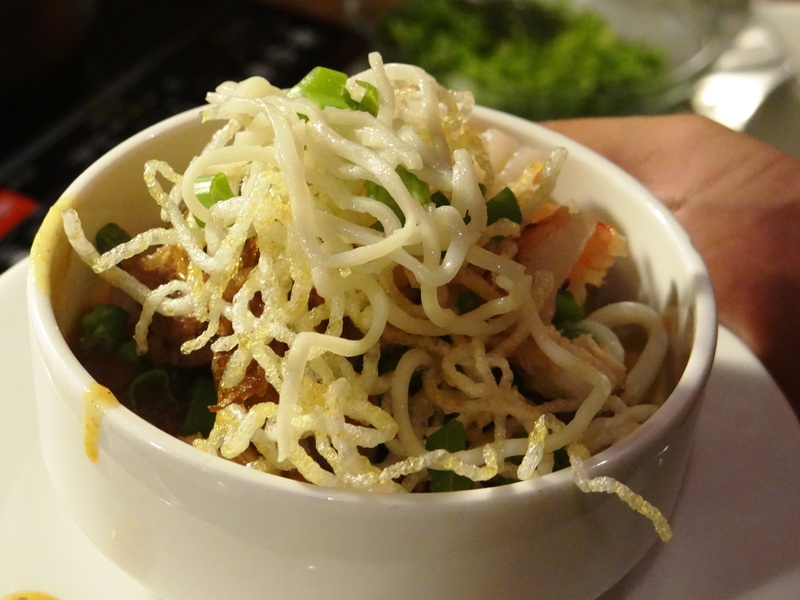 This resulted in a symphony of flavors, making Malaysian cuisine highly exotic. We started with two refreshing soups on the menu, spicy seafood soup for the Non-vegetarians and Tom Yum soup for the vegetarians. The spicy seafood soup was creamy and think with sufficient fish and shrimps in it. You will love it if you like anything fish. 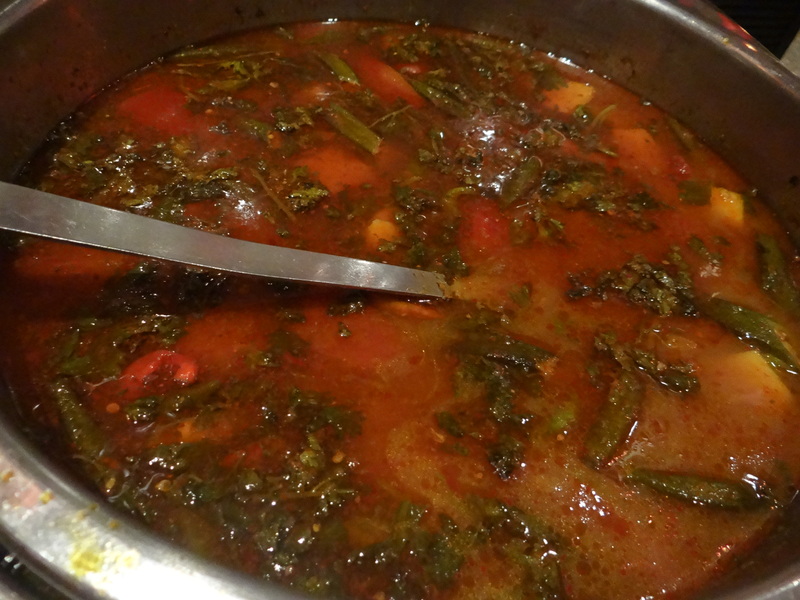 The Tom Yum soup was a complete riot of flavors….sweet, spicy and tangy…yes all that and more. The highlight of the whole menu was the live starter counter and had variety of meat options (Chicken, Lamb, Squid, Fish, Shrimp and Beef) to choose from. We love live food counters and the whole experience of this, was awesome, as you get to choose the meat and its friend/cooked right in front of your eyes. 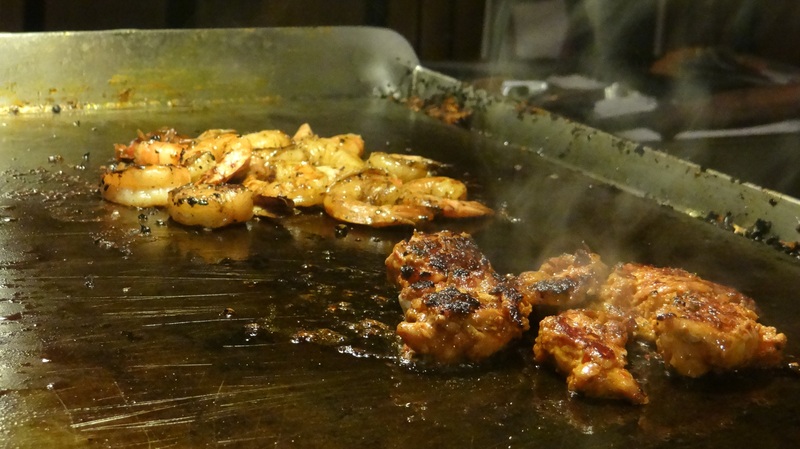 And the aroma while you stand there….Amazing!!! 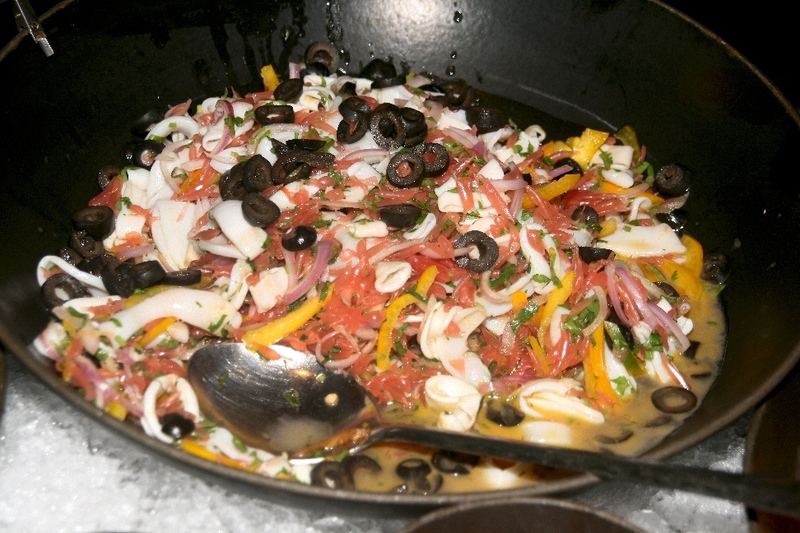 We obviously tried all the meat and found them fresh and well cooked….specially the squid is a must try. This was followed by a dish called, Asam Laksa – A bowl of thick white rice noodles served in a soup made of fish, tamarind, onion, basil, torch ginger flower, pineapple and cucumber in slices. This had so many flavours and so much to taste; A meal by itself. Post this delicious ‘soupy-noodles’, we went on to the actual main course. 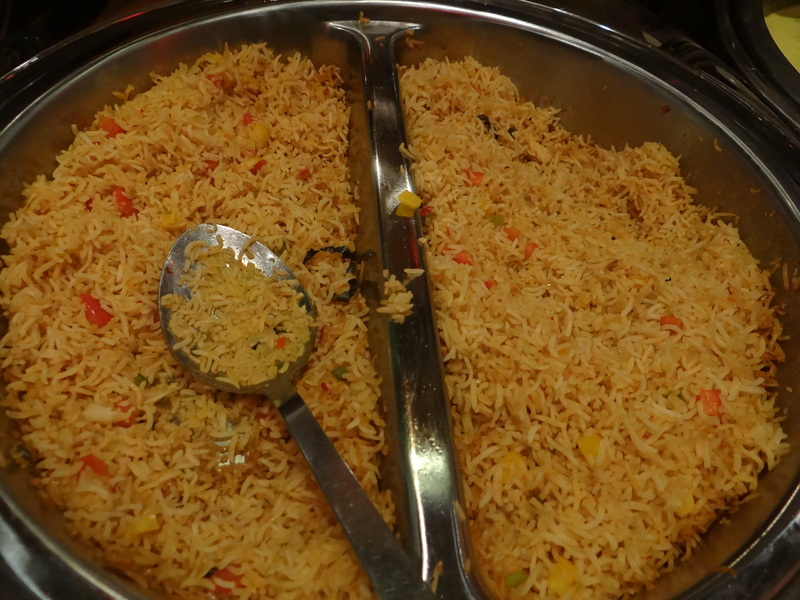 The main course was a spicy Malaysian rice along with two non-vegetarian gravies and two vegetarian gravies. The non-vegetarian gravies had fish and chicken options. The base of both these gravies was Sambal sauce, a spicy sauce made of chillies and peanuts, very popular amongst Malaysians and some part of Indonesia. The chicken and fish were fresh and tender. One will like these gravy for its flavors, meat and exoticness. Like we mentioned earlier Malay food is highly influenced by various cuisines from all around the world, including India, the veg gravies reminded us of Sambar and a curd based gravy from the South of India. 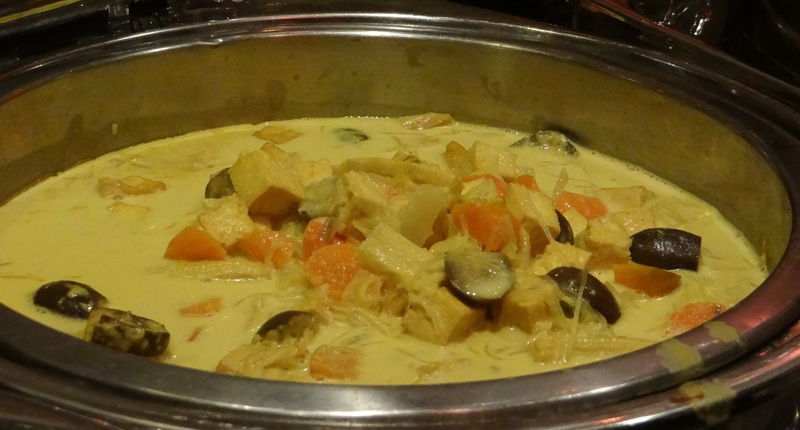 There were two options in vegetarian gravy, a Malaysian sour gravy (Kaladi Masak Asam) or according to us Malaysian Sambar and Sayur Lodeh (which had some regular vegetables and some exotic Malaysian vegetables in coconut gravy). After tasting these gravies, we were shocked to see how Indian cuisine has found a place in Malay culture. Like the non-vegetarian gravies, even the veg gravies were rich in flavour and tasty. 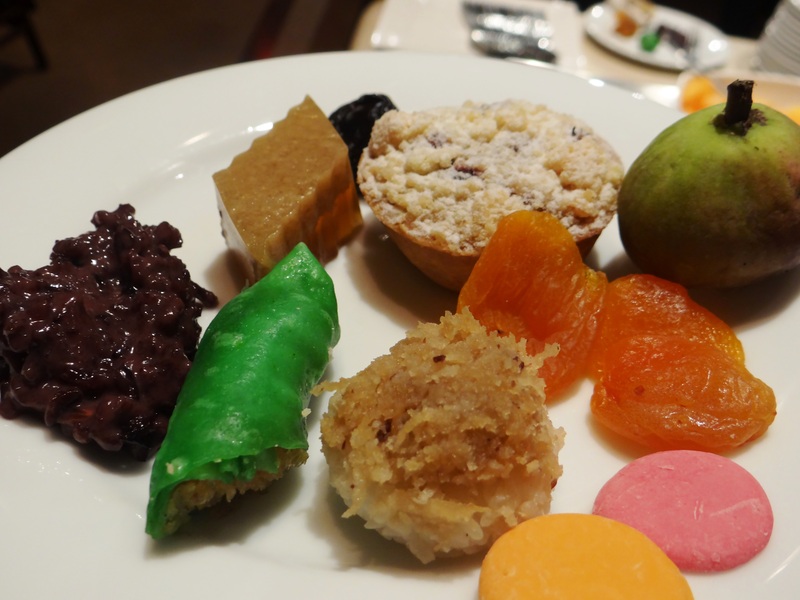 We ended our Malaysian ‘exotic’ tour with a variety of Malaysian deserts that the Lake View Café at Renaissance Hotel had to offer. The highlight of the desert was the Bubur Palat Hitam (Black rice cooked with brown sugar and coconut cream. This was simply delicious, and not too sweet. All in all, if you love Asian cuisine and want to try something exciting and exotic, this is for you. 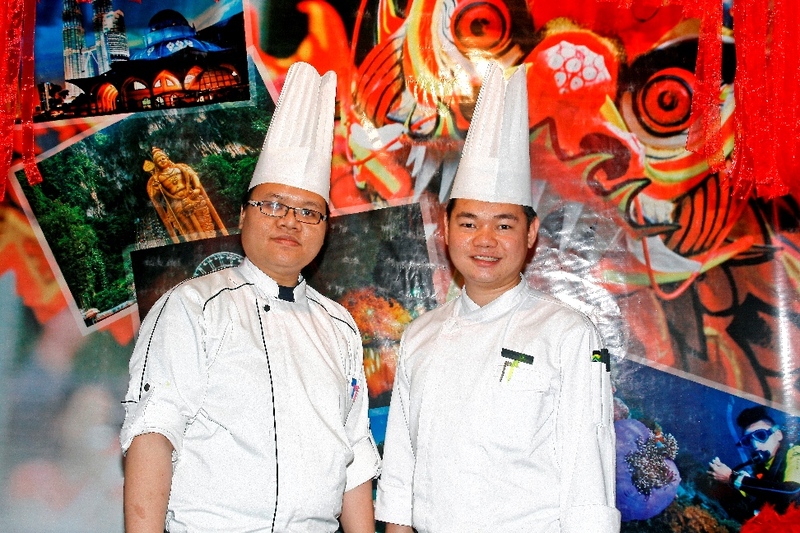 Don’t foget to intereact with the young chefs who have travelled all the way from Malaysia to host this festival. They are warm, welcoming, insightful and a li’l shy. The food festival will be on till the 24th November, 2013 at Lake View Café in Renaissance Hotel, Powai. 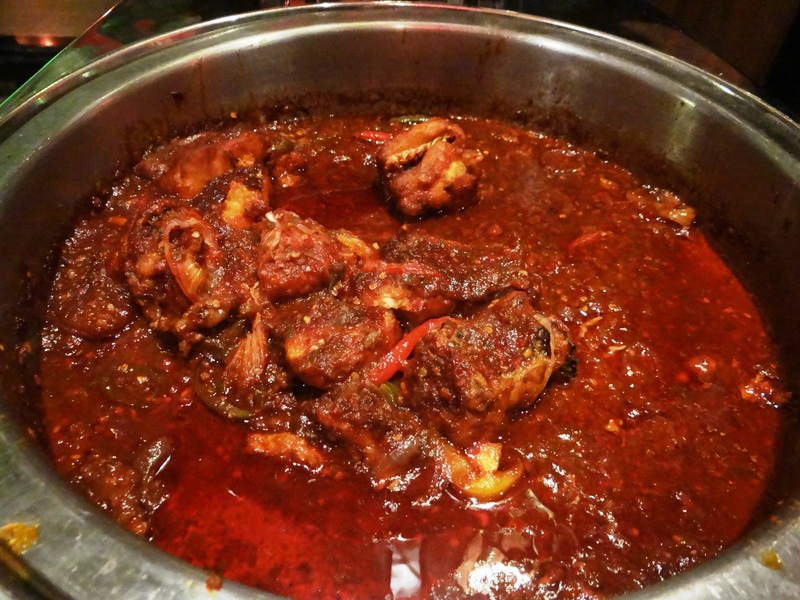 Malaysian Magic at Sofitel Mumbai BKC- A Must Try! Who Says Mexican Food Is Spicy? It’s HOT! Royal Rendezvous: Awadhi Food Festival at Nawab Saheb- Lah Jawab!